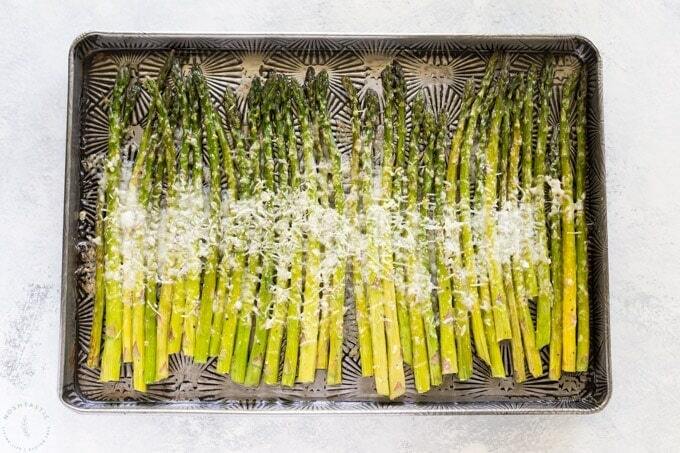 Parmesan Asparagus is a perfect low carb side dish that you can serve as part of a simple weeknight meal or it’s fancy enough to serve to dinner guests too! 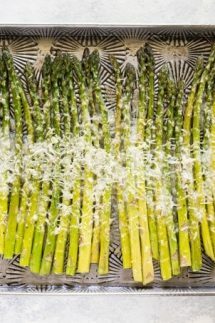 I love Parmesan asparagus as it’s so simple to make, requires minimal prep, but it really does pack a flavor punch! This is the easiest side dish in the world to make, so here are a few quick tips. The ends of the asparagus can be tough and woody so it’s usually best to cut them off before you start. If you don’t have non stick sheet pans you could line them with parchment so the cheese does not stick to them. The asparagus doesn’t take long to cook so do watch them as some ovens run hotter than others. If you don’t have parmesan you could easily substitute it for Asiago Cheese which tastes delicious with this recipe, and Pecorino Romano works well too. Asparagus is a very good Source of Vitamin K which helps your blood clot. It also has virtually no fat, is really low in calories with about 20 calories for only 5 asparagus spears. In addition, it has plenty fiber, is high in folic acid and also contains potassium, fiber, vitamin B6, vitamins A and vitamin C, and thiamine. You can cook asparagus in several ways, my preferred method for just a few spears is to simply cook it over a medium heat in a well seasoned cast iron skillet. You can also cook it over a grill, or bake it in the oven as we have done here for this recipe. 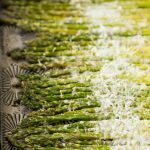 Easy low carb and keto friendly parmesan asparagus recipe! Bake for 8-10 minutes then sprinkle on the Parmesan cheese. Return to the oven 1 minute or until the cheese melts. Remove from the oven, serve hot. 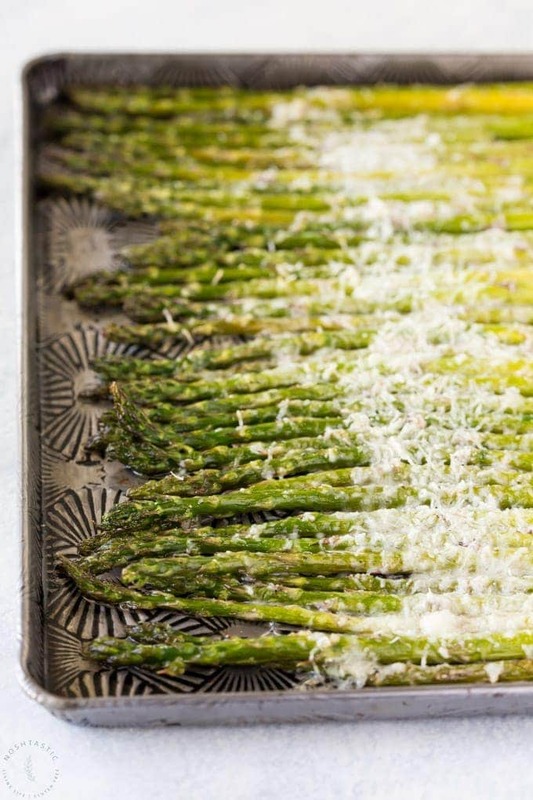 Step number 3 – don’t you want to toss the asparagus instead of the parmesan?